Emma Thompson is pulling double duty in the new period drama Effie Gray. Not only will the acclaimed actress star alongside Dakota Fanning, she also wrote the screenplay for this latest project from director Richard Laxton. Adopt Films has released the first domestic trailer, which tracks one woman's struggle to find her own identity. Effie Gray takes a bold look at the real life story of the Effie Gray-John Ruskin marriage, while courageously exposing what was truly hiding behind the veil of their public life. Set in a time when neither divorce, nor gay marriage were an option, Effie Gray follows a young woman coming of age, finding her own voice in a world where women were expected to be seen but not heard. 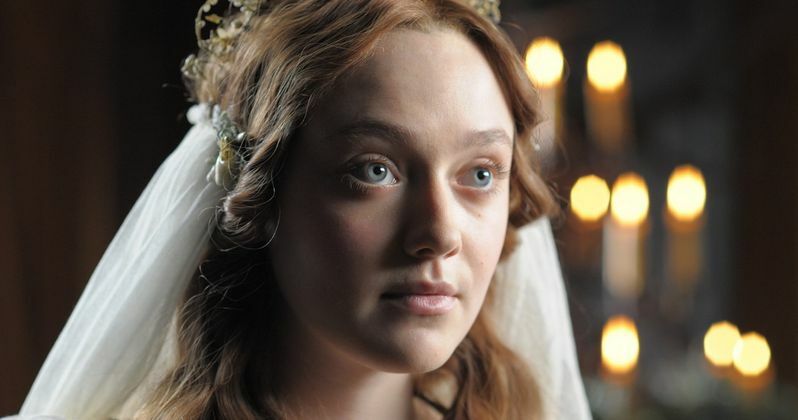 Effie Gray explores the roots of sexual intolerance, which continue to have a stronghold today, while shedding light on the marital politics of the Victorian Era. Take a look at the latest footage from this provocative drama. The cast also includes Greg Wise, Tom Sturridge, Edward Fox and Julie Walters. In theaters this spring.